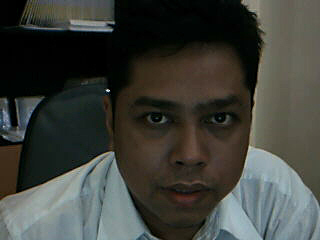 Assalammualaikum Hi...Friends I was born in Samarinda a sweetest city in east borneo on November 15th 1971. But now I live in Depok Bogor By the way, I work in PT. Pos Indonesia (Persero) The Biggest Postal Service Company in my country . as Business Development Manager of eBusiness Project ... . I had educated and trained there in Diksif VII specialized in Marketing Management and Jagakarsa University Jakarta... My Hobby play `n hear music, internet, auto-sports and see the movies ...so I believe one of my hobby like you do... Why...? Because Music and Internet will become as fundamental as religion is today If you interest to contact me, send your email to yudinov@posindonesia.co.id to ask about it and I`ll be sure to give you my best. The stuff I like are fusion jazz music and alternative rock music, other things like internet browse and software engineering is one of my interest... In Marketing...I have many communities all over Indonesia wide like me and they have a lot experience to give you a consulting in marketing strategy... let`s join us and make your business to be win in focus and better marketing vision Even though, I would like to learn much from you about the stuff I`d like... So�. give a chance and I`ll give you one...!!! Have a lot time....? Please Sign My Guest Book for know you closer.. Thank`s ...n C ya..